This weekend I have found some RGB LED strip laying around so I decided to build custom RGB LED strip to decorate my room. The RGB controller that I’ve built is based on Microchips PIC16F1455 microcontroller. 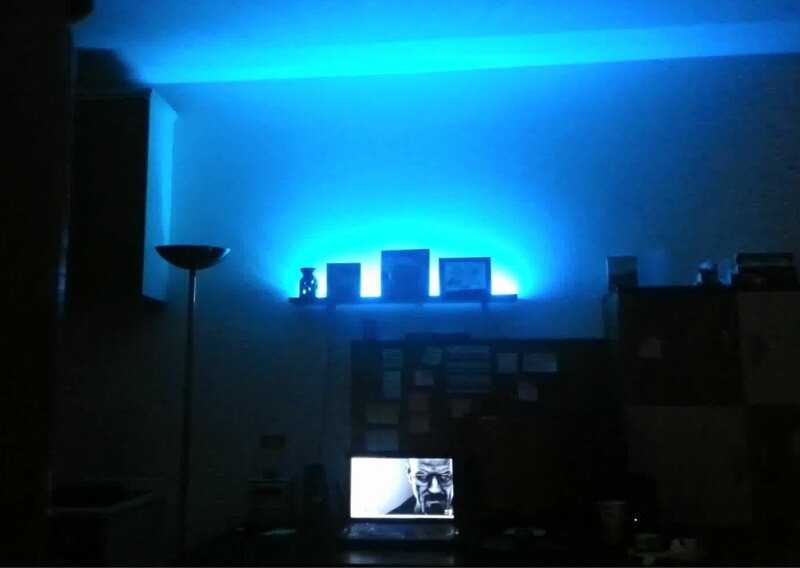 It works as ambient light in my room and also there is an option to use it as mood light (randomly change colors every 4 minutes) and to select predefined or your own custom color via the IR remote control. Custom color selection ( chose red/green/blue channel and then increase or decrease light intensity with + and – buttons on the remote to get any color that you like). Here is the Youtube video to check how it looks in action. I really hope you like it and let me know what do you think about it!